Irvine root canal specialist Sam R. Gharib, DMD, MS and his wise and welcoming endodontic staff are dedicated to personal service and expert, gentle root canal treatment with compassion and care. Dr. Gharib, a board certified endodontist, uses modern endodontic treatment that has little or no discomfort. At Irvine Endodontics of Orange County, our focus is to decrease anxiety by removing our patient’s fears of the unknown. Sam R. Gharib, DMD, MS will prepare you for what to expect before each endodontic test and root canal process. Dr. Gharib will explain your root canal problem, and review every choice you have available to save or replace your tooth. Our Irvine, California facility has all of the recent advances in endodontic treatment including lower radiation dental digital x-ray. 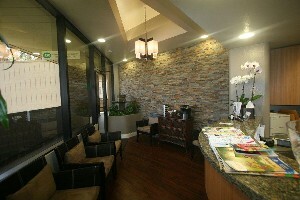 We are the first endodontic office in Irvine to have a micro Cone Beam CT (CBCT) unit for 3D examination of teeth. With more clinical experience and the latest root canal equipment, the Endodontics of Orange County dental team is able to provide root canal treatment that helps your tooth heal and bite for the rest of your life. If you are not sure whether your tooth should really be extracted and replaced with an implant or bridge, call for an appointment with Board Certified Endodontist Sam R. Gharib, DMD, MS in Irvine, California. We hope that browsing our website will help you learn more about Irvine Endodontics of Orange County, root canal procedures, and alternative procedures to root canal treatment. Please frequent our site as a dental education resource that will help you make informed decisions about, not only root canal treatment alternatives, but also general dental care procedures.